26-year-old Doreen Nakisige together with 30-year-old friend, Sanyu Namuganza are in police custody. Jinja north division police have declined to grant bond to the two women who confessed to being the authors of written death threats that have been causing panic and tension in Buwenge town council. 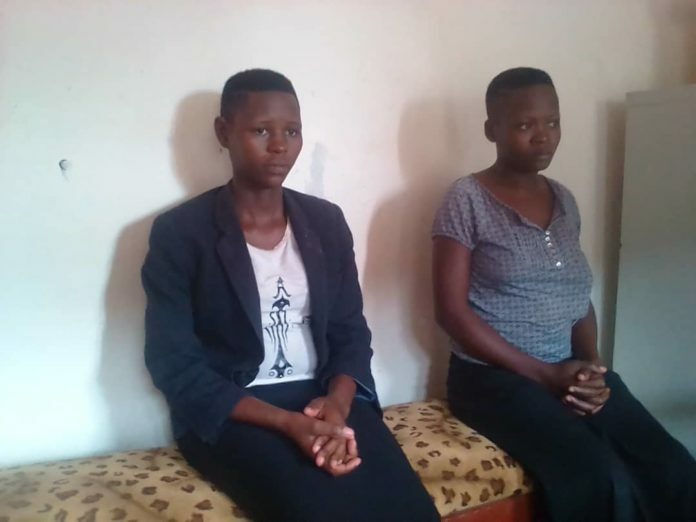 The 26-year-old Doreen Nakisige together with her 30-year-old friend, Sanyu Namuganza both residents of Munyegera zone in Buwenge town council were detained yesterday. The duo landed in trouble after confessing that they are the authors of the written threats to murder, dumped at the doorsteps of their neighbour Zaituna Tibasiima a teacher at New Glory primary school and resident of the same zone. But moments later, the suspects telephones her asking not fall for the prank they had had pulled off solely to scare her. Their relatives have since been trying all possible ways to have them out in vain. But the OC station at Buwenge police, Henry Magoola says the police cannot release them until the Directorate of Public Prosecution advises them otherwise. “We cannot release them because of the nature of their case. It can even cause mob justice,” he said. This Investigative website has learnt that the duo’s case file has been already forwarded to the Resident State Attorney of Jinja for perusal. “And I am asking the RSA not to recommend that we release them. We are aware sometimes suspects bribe to have their cases killed but this one please we don’t want to hear that,” he added. Over the last three months, similar scare notes have been strewn in different parts of Busoga many of them warning residents of attacks on and murders of especially women and young girls.